The 2015 Big Sport of Turfdom Award has been awarded to the connections of American Pharoah, the Turf Publicists of America (TPA) announced by this press release today. The award recognizing a person or group of people who enhance coverage of Thoroughbred racing through cooperation with media and racing. 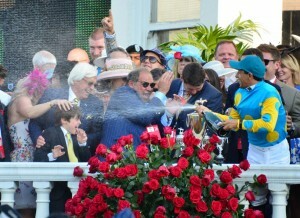 “Team American Pharoah” is led by owner Ahmed Zayat, trainer Bob Baffert, jockey Victor Espinoza and Zayat Stables racing manager Justin Zayat and won in a landslide vote determined by the nearly 150 active members of the TPA, a trade organization of Thoroughbred racing publicists and marketing executives. American Pharoah established himself as a Thoroughbred legend this spring when he swept the Kentucky Derby, Preakness and Belmont Stakes to become racing’s first Triple Crown winner in 37 years. Subsequent victories in the Haskell Invitational and versus top older horses in the Breeders’ Cup Classic further enhanced his stature as an all-time great. American Pharoah retired with a record of 11-9-1-0 and earnings of $8,650,300. His historic 3-year-old season brought racing heaps of positive coverage in mainstream media, including massive television ratings for the Belmont Stakes and a Sports Illustrated cover story. The connections appeared on national television in high-profile and unexpected segments. 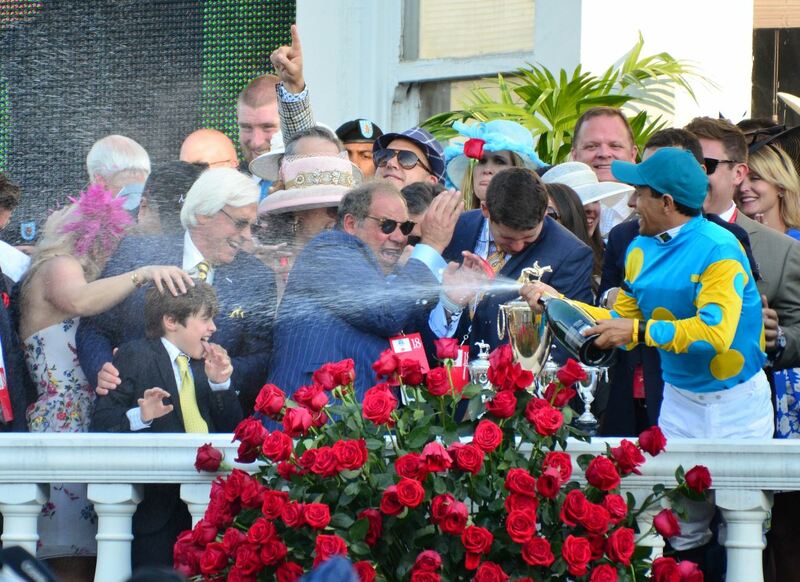 “Everyone connected with American Pharoah went well beyond typical expectations in accommodating the media and track publicists throughout the year,” said TPA President Jim Mulvihill.